Processing and paying bills manually is costly and time-consuming. 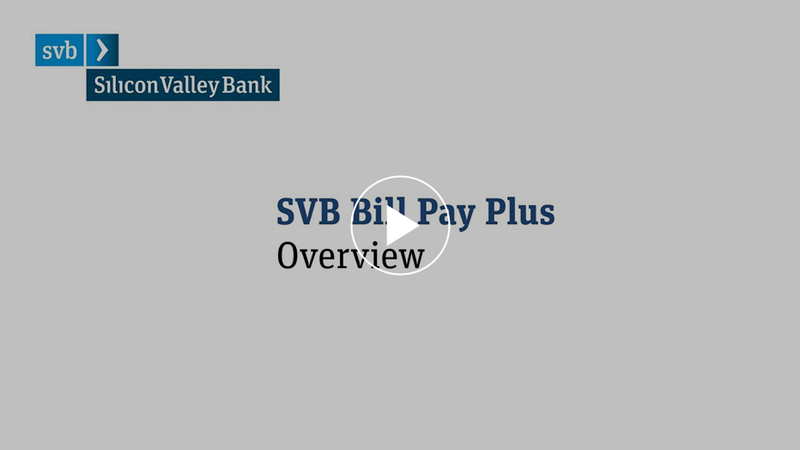 SVB Bill Pay Plus provides a simple and secure way to manage your entire business payment process online, streamlining tasks such as approvals routing, check signing and audit so you have more time to focus on your business. QuickBooks, Xero, NetSuite, Intacct and PayPal are unaffiliated with SVB Financial Group. Use of PayPal requires a separate PayPal account. Fees may apply. Use of Bill Pay Plus is subject to the terms and conditions of the Bill Pay Plus Master Agreement and all other related agreements.